We get it, geography isn't everyone's strength. If you're not sure where Saint-Emilion is, learn about its location before you set foot out the door! If you need some assistance getting your bearings, Paris, the national capital, is 300 miles (483 kilometers) to the north. Also, Libourne is 4 miles (6 kilometers) to the west. With plenty of things to see and do in this area of Bordeaux Wine Region, it's easy to understand why 3,000 people choose to call it home. Book your Saint-Emilion flight and accommodation package via Travelocity, and watch how much you save. With no less than 400 airlines and 665,000 accommodations, you've got all the freedom in the world. Our Customer 1st Guarantee gives you the added security of 24/7 personal assistance on everything from airfares and accommodations to activities and rental cars. Seen an even better bargain elsewhere? We'll meet the price and reimburse the difference^. Do you wish you had a little security in your getaway plans? All of our package deals can be changed with no scary fees. And so long as you get in quick, many accommodations don't charge fees either^. Get your Saint-Emilion trip off to the best start possible by locking in your lodgings with Travelocity. You'll find at least 16 properties to choose from, all within a reasonable distance of the downtown area. 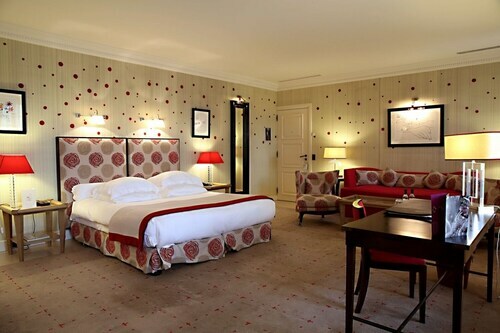 Luxury rooms, high thread-count sheets and sophisticated service is what you'll find when you spend your nights at the Chateau Hotel & Spa Grand Barrail (Route De Libourne D 243) or the Hostellerie De Plaisance (5 Place Du Clocher). 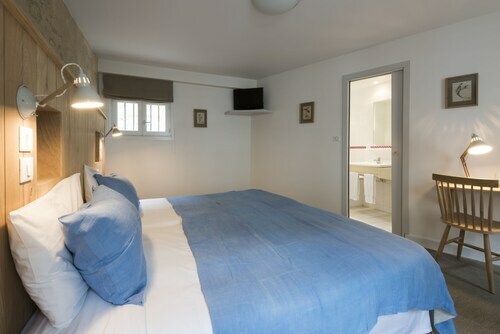 If you'd rather spend your money on amazing Saint-Emilion activities, book a room at the Maison de la Commanderie (3 Bis Rue de la Porte Brunet) or the Château de Courtebotte (1 Lieu dit Courtebotte). Where do you fly into for Saint-Emilion? Get ready for some serious exploring! The center of Saint-Emilion is only 25 miles (40 kilometers) east of Merignac Airport (BOD). Can I rent a car in Saint-Emilion? No matter if you're heading to Saint-Emilion all by yourself or with a group of pals, it's always easier to have a ride. Travelocity offers a variety of rental options, so choose one and start crafting your road trip playlist today! Rent a vehicle from Avis at Merignac Airport and you can head straight from the tarmac to the highway. Fine wine lovers shouldn't miss the chance to enjoy some unique blends and warm hospitality at Chateau Ausone. Need some more ideas? Love to add some deeper meaning to your travels? Make the journey to Saint-Emilion Monolithic Church. No matter what your beliefs, it's a superb place to discover the local faith. But that's not all. As you pass beneath Gate of Cadene, remember to glance up and study its design and sound structure. This significant old monument deserves to be explored from every angle. You can forget about seeing this beautiful world of ours via other people's envy-inspiring getaway pics. Travel's about recording your own epic moments and experiences. Saint-Emilion is home to some awesome activities and experiences. Why not try a Saint Emilion Full-Day Wine Tour or a Grand Cru Chateau & Saint Emilion Village Half-Day Tour? Saint-Emilion has a whole lot of things to do, but if you're wanting to branch outwards, you're in luck! You've got internationally celebrated attractions just a stone's throw from here! Tourists from near and far head to the Aquitaine Museum. 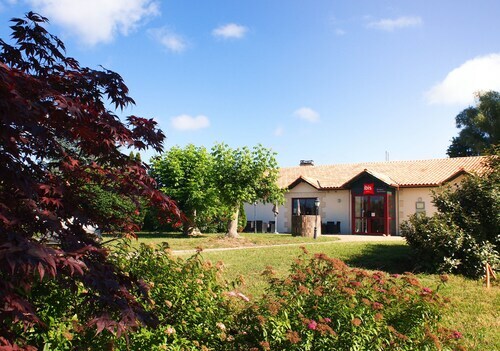 You can access it easily from Carignan-de-Bordeaux, 16 miles (26 kilometers) away. 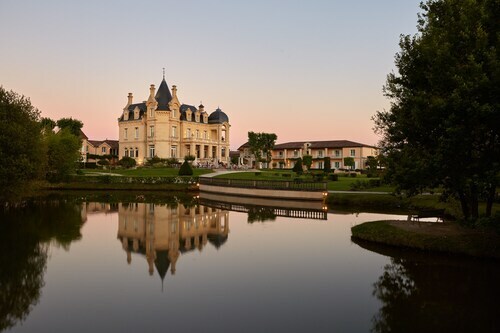 This family-friendly Saint-Émilion hotel is within 1 mi (2 km) of Chateau du Tailhas and Château La Dominique. Château Guadet and Saint-Emilion Monolithic Church are also within 3 mi (5 km). Situated in the historical district, this hotel is steps from Cordeliers Cloister, Gate of Cadene, and Saint-Emilion Monolithic Church. Saint-Emilion Bell Tower and Château Guadet are also within 5 minutes. Saint-Emilion Station is 19 minutes by foot. Situated in Saint-Émilion, this luxury hotel is steps from Collegiate Church of Saint-Emillion, Saint-Emilion Monolithic Church, and Saint-Emilion Bell Tower. Gate of Cadene and The King's Castle Keep are also within 5 minutes. Saint-Emilion Station is 18 minutes by foot. Located in the heart of Saint-Émilion, this hotel is steps from Gate of Cadene, Cordeliers Cloister, and Saint-Emilion Monolithic Church. Saint-Emilion Bell Tower and Château Guadet are also within 5 minutes. Saint-Emilion Station is 19 minutes by foot. Situated in Saint-Émilion, this hotel is 0.8 mi (1.3 km) from Château Pindefleurs and within 3 mi (5 km) of Chateau du Tailhas and Collegiate Church of Saint-Emillion. Chateau Ausone and Chateau Palais Cardinal are also within 3 mi (5 km). 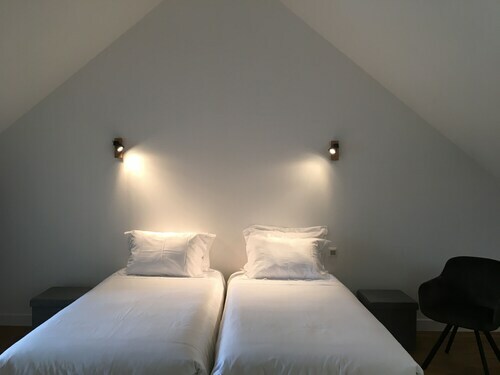 Situated in the historical district, this guesthouse is within 1 mi (2 km) of Chateau Ausone, Underground Pottery Museum, and The King's Castle Keep. Collegiate Church of Saint-Emillion and Le Donjon du Roy are also within 1 mi (2 km). Saint-Emilion Station is 7 minutes by foot. 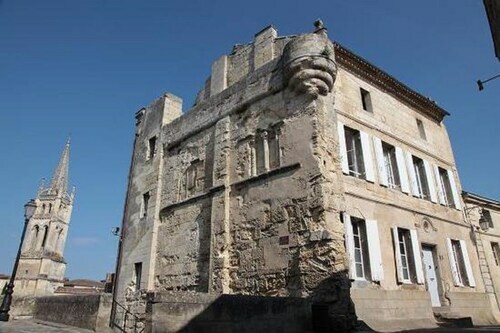 Located in the heart of Saint-Émilion, this apartment building is steps from Underground Pottery Museum, The King's Castle Keep, and Le Donjon du Roy. Saint-Emilion Monolithic Church and Saint-Emilion Bell Tower are also within 5 minutes. Saint-Emilion Station is 16 minutes by foot. 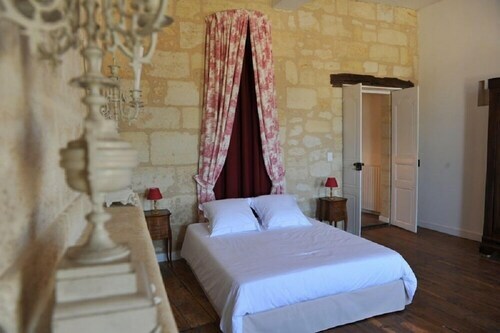 Situated in the historical district, this guesthouse is steps from Cordeliers Cloister, Gate of Cadene, and Saint-Emilion Monolithic Church. Saint-Emilion Bell Tower and Château Guadet are also within 5 minutes. Saint-Emilion Station is 18 minutes by foot.